Cycling ’74 creates software for the specialized needs of artists, educators, and researchers working with audio, visual media, and physical computing. Our visual programming tools Max, MSP, and Jitter serve as the creative engine behind thousands of innovative projects. The company was formed in 1997 by David Zicarelli and has approximately 20 employees and consultants worldwide. For over twenty years, Max has been used by performers, artists, and composers to make cutting-edge work by connecting basic functional blocks together into unique applications. Max gives you the parts to make your own music, sound, video, and interactive media applications. Use Gen to create audio and video tools that compile as you build them without leaving the comfort of Max. 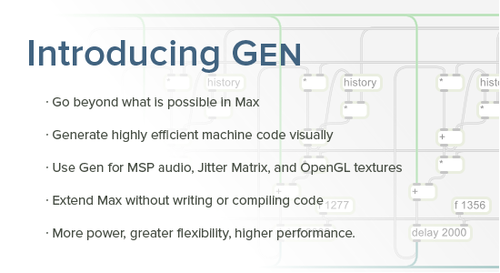 Gen is included in all Max 6 purchases. A separate purchase of Gen is not required. However, you must have version 6.1.8 (or later) installed. 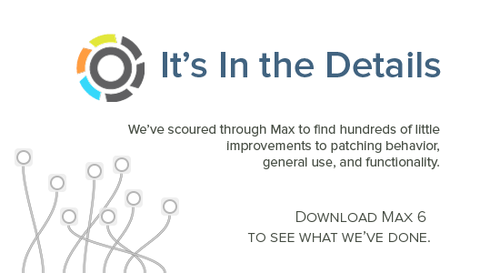 All customers that purchase between 8.8.14 and the release of Max 7 will receive the upgrade for free. 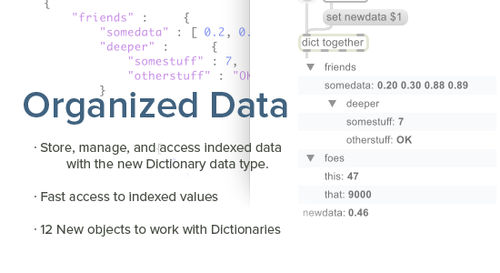 Create media-rich interactive software by arranging boxes and connecting them together. 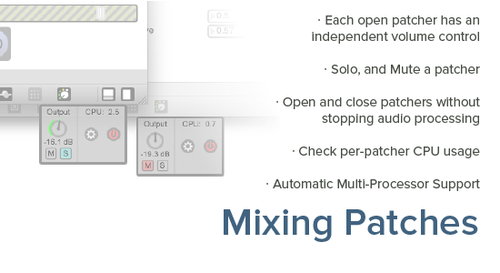 Take control of your sound with your own custom sound-making, sequencing, and effects. Combine live video with real-time animation and effects to create unique visual experiences. 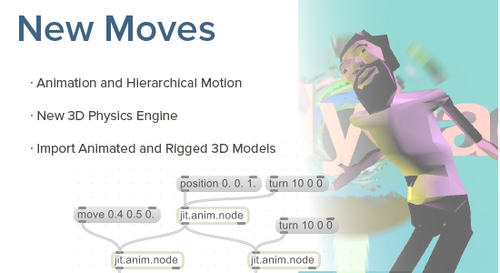 Generate stunning graphics with hardware-accelerated 3D drawing, physics, animation, and 3D models. Connect sensors and electronics to Max to create interactive and responsive media. Quickly develop your own adaptable solutions for integrating music, controllers, lighting, and visuals. Make connections. Make things happen. With native support for a wide variety of controllers and devices, Max lets you connect anything together..
Add live camera or audio input to create an immersive and interactive experience. Attach sensors to your Max using Arduino, Eobody or other devices. Plug in MIDI devices and USB gaming controllers to control things exactly the way you want to. Combine a variety of devices and software together using MIDI, serial communication, or network protocols like OpenSoundControl to create hybrid systems. Collaborate using OpenSoundControl across a local network with other computers or OSC-enabled mobile apps. The diverse tools and accessible interface has made Max an indispensible tool in a variety of disciplines where realtime media and interactivity are needed. Here are things people near you are doing with Max. Electronic Musicians use Max to develop unique sound-making tools, unusual instruments, and custom performance systems. Live Visualists use Jitter and Vizzie tools to create images that respond to sound and other inputs. Exhibition Designers develop rich, educational exhibits that engage museum visitors. Interactive Media Artists combine technologies that sense the environment with responsive Max patches to entertain and challenge the viewer. 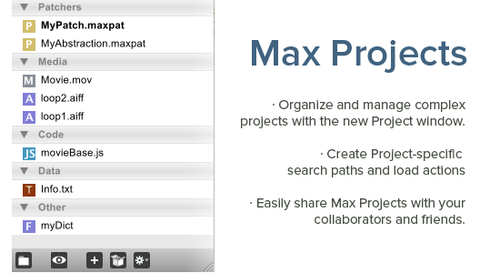 Scientists and Researchers use the quick prototyping and compatibility of Max to develop experiments and record data. Public Artists and Architects use Max to develop enhanced public spaces. 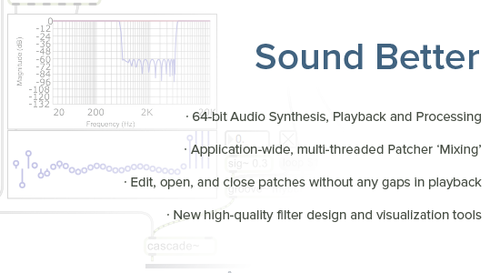 Video Game Developers and Sound Designers use Max to prototype game sound, develop custom toolchains, and test new controller prototypes. Max has been used in Universities all over the world to teach Computer Music, Interactive and New Media, Sound Design, and a variety of subjects to students with different backgrounds. 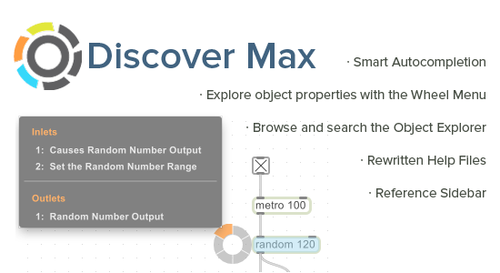 The visual approach of Max empowers students in the arts to harness the power of computer programming without being intimidated by lines of code. The basic building blocks of Max have been vital to training students in the theory and practice of signal processing and synthesis in Computer Music courses. 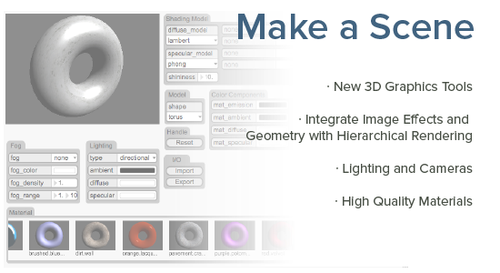 Interactive and New Media courses benefit from the unique and diverse collection of tools available with Max. Students combine work with electronics and microcontrollers like Arduino with the interactive media capabilities of Max. With support for audio, video, and 3D graphics in realtime, Max helps students realize rich multimedia projects. 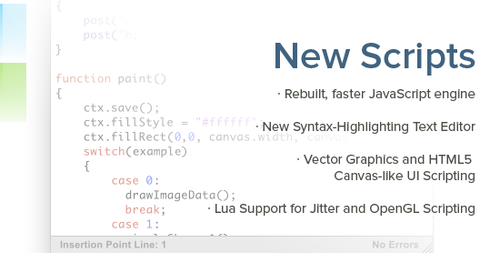 Discover What's New in Max 6?